UPDATE! My book, Ziglar Legacy is here! I would love to get a copy to you as quickly as I can, it is as simple as clicking "Buy Now" and your copy of Ziglar Legacy will be on the way! 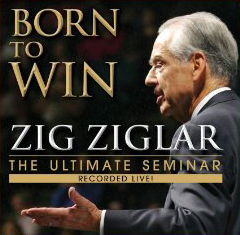 It is estimated that Zig Ziglar touched over 250 million lives. As a Ziglar Legacy Certified Professional I have made a personal commitment to continue teaching the Ziglar Legacy. 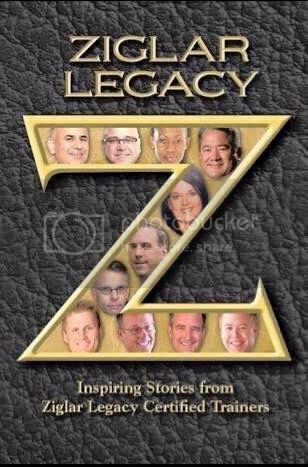 I have made it my personal and professional mission to promote the Ziglar Legacy as the most effective, balanced, and proven system for achieving true success in life. We were all meant to succeed. We were all Born To Win. Through countless presentations and publications for over 40 years, Zig Ziglar has communicated the perspectives, the knowledge, and the systems for achieving everything you want in life, by helping others achieve what they want in life. My Ziglar Legacy Certification is your proof that I have been educated in the Ziglar approach to achieving success in life. In fact, I have been certified by the Ziglar Corporation as possessing the proven information, inspiration, and motivation to help others become the winners they were born to be. I also know without doubt, that you were meant to achieve success in all areas of your life; your personal life, your career, your business, your family, and your community. Contact me and let's work together to help you achieve everything you want in life. Some of Zig's most Powerful! If you're not a bot. Click the ZLC badge. © Copyright 2013 Zig Ziglar, Inc. All Rights Reserved. Your report will open in a new window.